Replacement card holder for use with Durable® ID/security card holder sets. Can be used vertically or horizontally. Replacement card holders for use with Durable® ID/security badge holder sets. Can be used vertically or horizontally. Click here to see more Name Badge Holders! 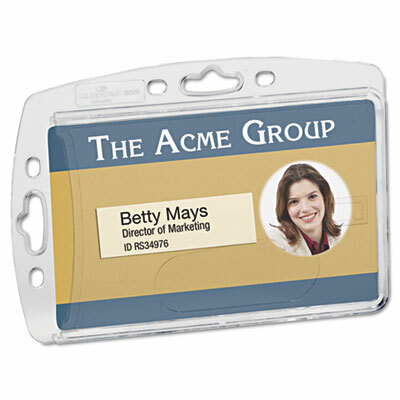 Global Product Type: Name Badge Holders-Prepunched Insert Width: 3 3/8"